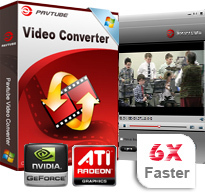 Pavtube Video Converter is an all-in-one video converter and editor tool based on NVIDIA CUDA technology which is specially developed for users to convert videos from one format to another. In order to manage such a vast list of video, audio, and image file formats, the program offers you a somehow organized list of output profiles. These are classified following different criteria, such as device manufacturer (Apple, Samsung, Google, Sony, HTC, Amazon, Asus, Microsoft, Acer, Nokia, LG, Panasonic, Toshiba, HuaWei, BlackBerry, Lenovo or HP, etc. ), software tool (Windows or PowerPoint), media type (Common Video or Common Audio – for audio extraction purposes), or device (Zune, Xbox 360, Xbox One, Wii, Windows Media Player, VLC, AC Ryan Player, HiMedia 900B, PS4, PS3, WD TV Live Plus Media Player, Xtreamer Ultra, Dune HD Player, Seagate, Popcorn Hour, Asus O!Play Mini Plus, KDLINKS Media Player, ViewSonic NMP-708 and so on), although you can also find some more "exotic" categories, such as Remux, Interlaced, Lossless raw video, or DV. Useful as it may be, it doesn't seem to follow any logical order. To overcome this difficulty, the program offers you a Profile Manager, which you can use to select only those categories you really use. Likewise, you can also tick off those specific presets within each category that you know you won't be using often. Once the output selection process has been conveniently simplified according to your preferences, you can select the video or video files you wish to convert and apply to all of them one of the many output formats provided (regrettably, multiple-output conversion is not supported). You can then select one of your videos and watch them on the program's built-in player, or simply move into the program's editor. This simple editing tool offers you the possibility of trimming and cropping your videos, of adding text and image/video watermarks to them, editing their background audio, importing a subtitle stream from an SRT or SSA subtitle file, or applying one of the various video effects provided – gauss blur, Laplacian sharpen, aged film (a kind of sepia effect), negative, etc. In addition, you can preview clips and take snapshots, apply effects, make image adjustments (e.g. brightness, contrast), replace the audio steam, and more. But you can also make audio and video modifications when it comes to the codec, size, bit rate, frame rate, sample frequency rate, channels and others. Settings can be restored to their default values. During the conversion job you can check out the progress for the current and total files, elapsed and remaining time, generated and estimated size, as well as a log file. Plus, you can pause the task and enable Pavtube Video Converter to automatically turn off the computer after conversion. The conversion process itself is fairly fast (thanks to the program's multi-thread support) and doesn't take up much of your system's resources. An attractive and affordable option for those looking for fast and stress-free video conversion processes. - The conversion process itself is fairly fast. - Intuitive and nice-to-look-at interface. - Batch processing is permitted. - Includes a useful output profile manager. - Allows you to add various video effects to your source files. - Supports nearly all known media file formats. - Multiple-output conversion is not supported.